Join our Stress Less Holiday Challenge throughout November and you’ll be cozying up by the fire all December long! Hello Ladies! Kimberly here. It’s my week, to share with you for our Stress Less Holiday Challenge. Join our Facebook Group for lots of tips, reminders, girl power and support all through the month of November! We all know that it takes a village and that’s why we started the group, so we all can stay sane and happy through the holidays! Week 2, is all about the budget, deals, and finding the right gifts for your loved ones. You know that you have that certain someone that is so hard to buy for and 9 out of 10 times you just don’t get it right. I love the holidays and I especially love it when I’m so prepared that everything goes as planned. It really MAKES a huge difference! I also know that all you ladies out there have tips and tricks up your sleeves and that’s why we would love to hear from you! Here’s the rundown of this week’s challenges. We have made them all 10-minute challenges so it doesn’t feel overwhelming. In my dream world I have an endless amount of money, then reality hits and I know the only way to make Christmas work is by making some kind of budget! This is the hardest thing for me to do and to follow! My hubby and I really didn’t have any money when we were first married and we had 4 kids after 8 years. So we found creative ways to make our kiddos Christmas dreams come true! We will be covering that later in the week! This will only take 10 minutes to set up but you will need to stick with it the whole time to make it work. Do you already have a way to budget? Please share! I found this simple formula from Dave Ramsey, I hope it helps in the challenge for today! Take a look at what you spent on Christmas last year. Divide your Christmas budget into categories. Write down who you need to buy gifts for. Plan ahead with a Christmas fund. November 7: Making a list and checking it twice. This is the time to write down everyone that you want to buy a gift for. That means, kids, spouse, parents, in-laws, neighbors, friends, kids teachers, and even the mailman! I always think that I will remember everyone that I want to buy for but then it comes down to the last day of school before the holidays and your kiddo wants to take a gift to their teacher and BAM, you have nothing ready! Trust me this will make your life so much easier if you see it in writing. November 8: Divide your budget. 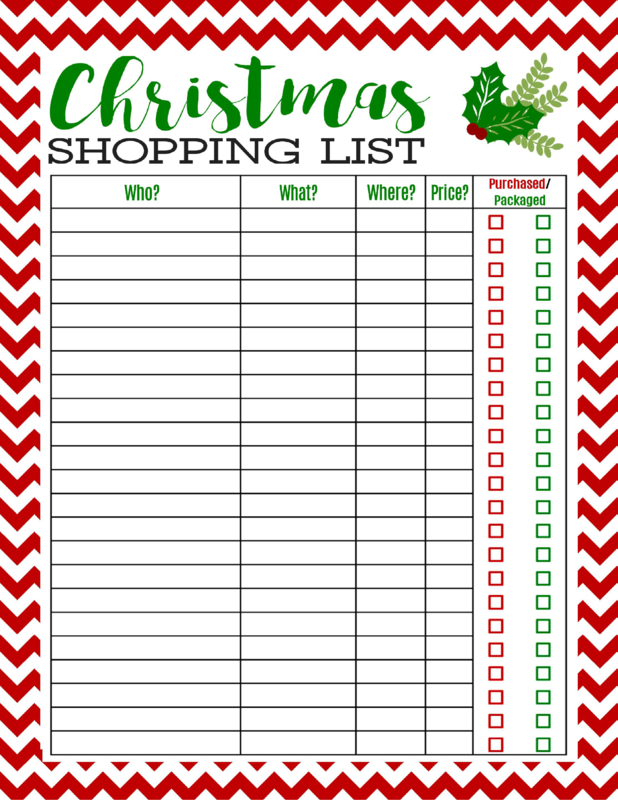 Now that you have taken the time to recognize who is on your list, divide the budget for each person, and decide how much you want to spend on each of them. This can be hard to keep the dollar amount equal if you have younger and older kids. It’s so easy to get little kids a whole Christmas for under $50 but the same amount doesn’t go as far in the teen world! That’s why it helps to give them the same number of gifts because we are all so visual and this will make it all right in the Universe! November 9: Creative Gift Giving. If my husband was in charge of buying for Christmas, everyone would receive a gift card! Don’t get me wrong that can be the perfect gift for some. Nothing feels better than receiving a gift from someone and knowing that they really “get you”! Take a minute and think about each person on your list and what their passions are and if you don’t know do a little recon! That will make your job easier and they will feel so loved! Its always so fun to make it into a themed experience, for example: if your daughter is into unicorns, get everything that has to do with unicorns! This helps me out so much because I have a challenge of finding everything that goes with that subject. November 10: Steals and Deals: We all know that all the stores advertise their deals for Black Friday or Cyber Monday but if you take a moment and do your research, you will start finding deals right now. The stores have already started some amazing deals so if take a minute and look at your list and you can compare prices and get the best one now. I do a lot of shopping on Amazon because I’m a Prime member but I don’t stop there. ShopSavvy: It helps you find the lowest price available for gift items. If you’re in a store, use the app to scan a product’s barcode, and ShopSavvy will locate the best deal locally or online. CouponCabin: This is a coupon and cash-back app. Members can search for offers from more than 4,000 stores and brands, and earn up to 10% cash back on online purchases. Retale: This app is like flipping through a retailer circular without the paper. Santa’s Bag: If you want to be organized and stick to your Christmas budget, use Santa’s Bag to combine a shopping list, budget tracker and even a Christmas countdown clock! Extra Tip: Start following your favorite stores on Social media, they will be posting special deals throughout the season that you won’t see in their ads! November 11: Shop Online. If you have never shopped on Cyber Monday, you need to! I love to sit in my pj’s and compare the different prices on items that I want to buy. I don’t have to fight with that lady who is glaring at me and I don’t have to waste my gas! The challenge today is to get comfortable with your favorite store’s online sites. Check out their return policies and if they have free shipping. This will save you so much time and you can read the reviews to see if other people liked the product or not. November 12: Thrift Shopping. I know it’s Sunday, but it’s a great time to look online at the classifies or look for your local thrift stores. Make a plan and what you want to find. Amber’s Cooper is in love with Lightning McQueen and she was able to find a gently used bike for only a portion of the original price. Your kiddos won’t know the difference and it will help save money or you might be able to find that rare item! Thanks for being part of our challenge! We love hearing from you! I think this challenge is a great idea. I love the points out of them. I wrote it down in my planner 😀 Thank you! That is a good idea to stay organized. That way, you do not over do it or forget what you got someone and think you didn’t get something for them at all. I think I might take your lead this year. It is a really good idea. Great tips! I love shopping for deals online. It’s fun and you don’t have to fight the crowds. Gift giving doesn’t have to be expensive to be meaningful! Love it, it’s like one day at a time as you prepare everything you need for the upcoming holidays! It’s definitely going to make life easier for anyone, especially when you’re hosting a get together. These are some great tips. I’ll be sure to follow them as it gets closer to Christmas. These are great tips for stress-less holiday, they will truly help me through these Holidays. wow, this is so helpful! thanks for putting this challenge together! I bet it is super effective in lowering stress levels. I am all for organizing and making things fun and stress free. I like this. Great tips, I like the points you have mentioned. I do prefer shopping online, also subscribing to various newsletters for holiday deals works great for me. These are great tips. I usually wait until the last minute and then kick myself later. Such is life. I love the idea of this challenge, really helpful. These upcoming holidays are really stressful, glad you have an idea to make it stress-free. It’s always better to have a planner and organizer. Thanks for the tips.